Copenhagen simply could not be cooler right now, from the arthouse directors who take to the colourful streets of the city to shoot film and photo to the Michelin-starred chefs who seem to emerge from kitchen after kitchen in the Danish capital. Nowhere in Europe is undergoing a cultural revolution quite like Copenhagen, and the quaint city is still small and quiet (for now) enough to really immerse yourself during a whistle-stop tour. Not as daunting as London, stretched as Paris or busy as Rome; Copenhagen welcomes you into the city streets – providing a wonderful capital to explore on foot or by bike. Delightfully Scandinavian, there’s a laid-back efficiency to life in Copenhagen from the unrushed café culture to the eco-friendly status of the city. And then we come to the people, the Danish were named the happiest people on the planet in a poll ran by CNN earlier this year. This absolutely beams through in everything they do, and you’ll soon find the Copenhagen locals incredibly welcoming and ready to help. So, if you’ve got a stop in the Danish capital of Copenhagen planned during an upcoming cruise, or you’re pondering over whether to commit to a Scandinavian exploration, we’ve put together a short city guide which will help you make the most of your time there. From how to explore the city to where to go and eat, we’ve got your upcoming trip covered. Copenhagen is routinely voted Europe’s most bike-friendly city with a huge number of cycle routes, signs and pathways all reserved for pedal power. The locals are well known for their love of cycling, speeding to work and just about everywhere on the back of their trusty two-wheeler. 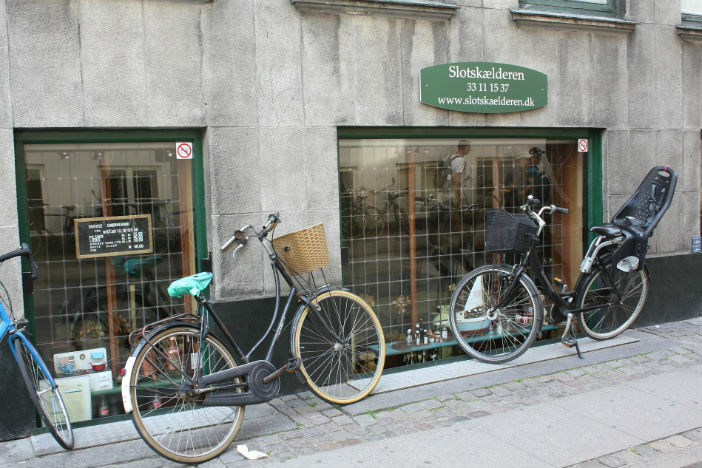 There’s a great selection of bike rental shops to find your wheels when you arrive in Copenhagen, so you can soon take to the streets like a local. And you’ll be glad that you did – cycling through this beautiful city means you won’t miss any of the charming sherbet-coloured town houses or little shops you might normally have sped straight past. Just be sure to wrap up warm before you stretch your calf muscles and take to the city streets on cycle-back – Copenhagen can get mighty chilly. When cycling through beautiful Copenhagen, make sure you set course for Nyhavn, the gorgeous 17th-century waterfront. So often the postcard picture from trips to the Danish capital, the multi-coloured buildings which dot the water could not be more charming if they tried. The buildings are made up of a selection of townhouses, bars, cafes and restaurants – perfect for a little light refreshment after pedalling through the streets. Be sure to rush if you spot a free table outside any of the bars, however, these won’t stay free long. No trip to Copenhagen is complete without paying tribute to the Little Mermaid. Hans Christian Anderson’s famous water lass was brought to life in a bronze statue gazing out over the waters in 1909, and has been a popular stop for visitors ever since. 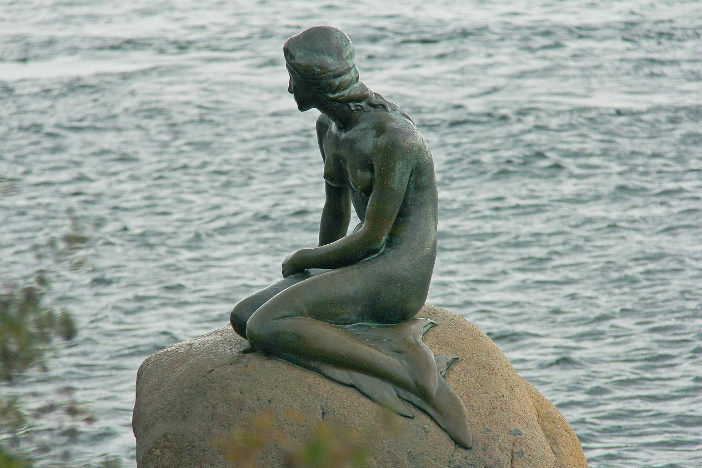 If you’re going to get just one photograph of your time in Copenhagen, it’s got to be with the Little Mermaid perched pensively on her rock. Stepping out of fairy tale Copenhagen, the Church of our Saviour is a delightful baroque church, most notable for its large helix spire which winds up into the Scandinavian sky. Dating back to the late 17th century, the church welcomes more than 60,000 people a year keen to climb the 400 steps to the top of the spire and gaze out over the city. Located in the heart of Copenhagen, the Church of our Saviour has long been a part of the city’s folklore. 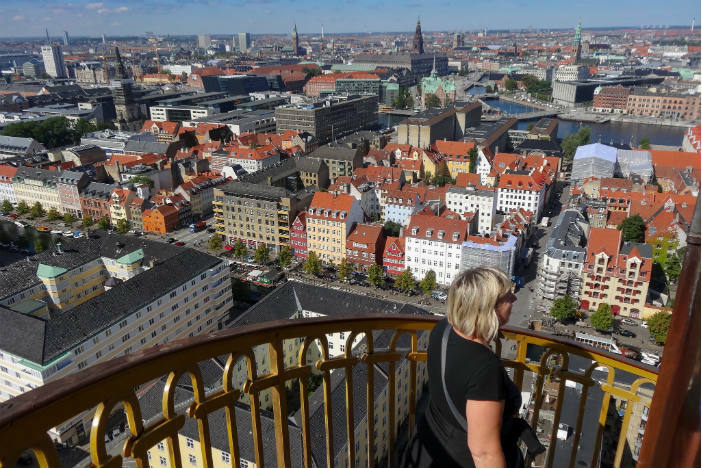 In fact, a famous urban legend around Copenhagen suggests the spire’s architect leapt to his death upon completing the tower when he realised the helix curves the wrong way (anti-clockwise). Although it is still an active military area, the Kastellet in Copenhagen is primarily a charming and peaceful retreat for locals and visitors alike. One of the few remaining star-shaped fortresses in Europe, Kastellet is surrounded by a moat and bastions at every corner. Once you arrive inside the star-shaped walls, you’ll find a beautiful and spacious public park as well as two small museums and a historical wartime collection. If you’re extra lucky, you may just land in Copenhagen on one of the nights when the Citadel Church arranges a special concert in the grounds of the Kastellet. Even if you’ve just been in Copenhagen for a few minutes, you’ll have noticed how the locals are beautifully turned out – this is a city which takes fashion very seriously, and they have the designer stores and flagships to back that up. If you’re up for a little retail therapy, Scandinavia style, head over to Kongens Nytorv (The King’s New Square), a delightful 17th-century square surrounded by regal looking buildings, and the big names of fashion – Prada, Max Mara, Gucci, Louis Vuitton and Mulberry amongst others – are all represented. The restaurant Noma really kick-started the culinary revolution in Copenhagen, and led to Denmark becoming the must-visit city for any self-respecting foodie. With two Michelin stars to its name and the title of world’s best restaurant in 2010, 2011, 2012, 2014 and 2015 (it came 5th in this year’s list); Noma certainly has the credentials to wow any self-respecting epicure. But it also has the queues, waiting lists and prices to match – reserving a table to coincide with a cruise visit is like a military operation. A military operation which requires more than a little luck. But who needs Noma, anyway? There’s a host of other Michelin-starred restaurants in Copenhagen (15 to be exact, sharing 18 stars between then) serving up delicious Nordic cuisine. In fact, Geranium, located in FC Copenhagen’s football ground, can actually boast three Michelin stars (and the award for Europe’s best champagne and sparkling wine list 2016). Geranium serves a seasonal taster menu (currently serving the impressive-sounding Autumn Universe selection), which is made up of local Danish flavours and more than a little innovation from head chef, Rasmus Kofoed. And to wash down a gourmet feast? It’s got to be a delightful cocktail of course, and Copenhagen certainly has no shortage of super-stylish cocktail bars where the finest spirits are skilfully flipped and mixed into ornate glasses. 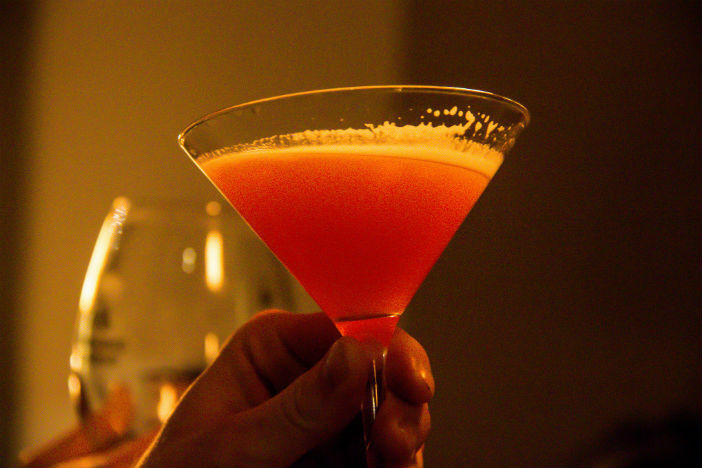 The Ruby cocktail bar is the pick of the bunch, earning a stellar reputation (and 34th place on the list of the world’s best bars) through word of mouth alone. Kitted out like a stylish apartment, you’ll feel bang at home in Ruby the second you walk through the door. The secret of Ruby’s success? Knowledgeable bar staff. They’re happy to have a chat about your drinking preferences and favourite flavours, and will happily rustle up a cocktail which meets your needs. If all this sounds a little fancy for your tastes, then we’d recommend giving the Danish delicacy, smørrebrød (pronounced smuhr-broht), a go. Basically an open-faced sandwich on a delicious dense sourdough bread, smørrebrød has been a staple of the Copenhagen diet since the 19th century. Traditionally a cheap and filling meal for the factory workers of the city with the sandwiches’ fillings usually consisting of last night’s leftovers, smørrebrød has evolved into a whole different beast. Today, you can find smørrebrød with just about any topping imaginable, served in all the cafes of Copenhagen. Although pickled herring, prawns and horseradish is the most common combination, our personal favourite always comes back to roast beef, pickles, horseradish and onions. A truly great snack when the temperature outside is plummeting. In Denmark, there’s a sensation called ‘Hygge’ (pronounced ‘hooga’) which roughly translates to ‘coziness’, and for the Copenhagen locals this is, perhaps, the ultimate state of happiness. Locals will attempt to achieve this state of mind by wrapping up in their warmest woollen sweaters, find the comfiest corner in the warmest bar and order something delicious and heart-warming. Many bars and restaurants in the city try to offer this feeling by carefully positioning soft, high-backed chairs, blazing fires and large, dripping candles whilst serving their favourite ales in traditional glasses. We’d recommend going with the flow when it comes to Hygge, wrapping up warm and keeping the rounds coming. Copenhagen is always one of the most popular stops during a Scandinavian cruise, with many of the world’s major cruise lines visiting this charming capital city. For a huge selection of unbeatable deals on Scandinavian cruises, click here, or call our friendly sales team on 0808 274 6777. If your next cruise stop is Copenhagen, we've set up this city guide to the Danish capital so you don't miss the best things to see and do.